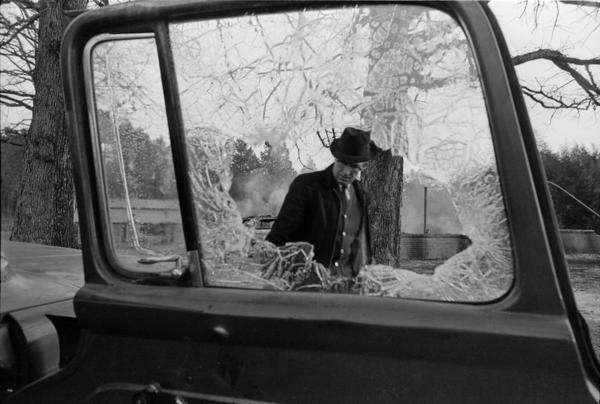 Description: Man inspects the charred and shattered remains of Vernon Dahmer's car the morning his house and store in the Kelly Settlement (Hattiesburg, Miss.) were firebombed on January 10, 1966. The Hattiesburg American reported "The vehicle bore marks of a shooting."